March 6 is the opening of “Samurai: Armor From the Ann and Gabriel Barbier-Mueller Collection” at the Denver Art Museum. 140 objects will be on display. 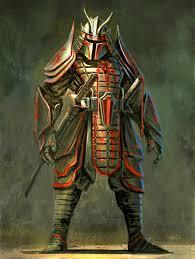 Samurai were Japanese fierce warriors, the military elite. They served Japan from the 12th through the 19thC. Under their robes they wore armor made from iron, copper, fur and other animal materials. The armor was elaborately lacquered and decorated with gold, braids and tassels. Even the horses they rode wore protective armor. This exhibition originated from the collection of Mr. Barbier-Mueller, founder of Harwood International, amassed over 25 years and housed in his family owned Dallas museum. Since 2011 the traveling armor, including weapons, has visited 8 cities, including Paris, Boston, Portland.